We know that due to cost or availability factors used and refurbished parts can be important to a profitable transmission overhaul or repair. The main thing is getting parts that are GOOD and parts that are RIGHT. 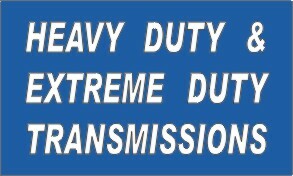 Here at TRANSMISSION EXCHANGE CO. we are continually up-dating our huge inventory of thousands and thousands of used and refurbished parts, gears, pumps, shafts, sleeves, planetary sets, drums, rings, forks, cases, housings and almost any other kind of part you can think of for standard, automatic and truck transmissions and transfer cases, import and domestic. These parts are available both individually and in bulk. All used and refurbished parts are cleaned, carefully inspected, cataloged and stored in our 40,000 square foot warehouse and remanufacturing facility. Parts are checked for fit and inspected again before shipment. So, put both the experience of our highly knowledgeable staff and the experience of the parts themselves work for you, Next time, ask for the availability of experienced used and refurbished parts from TRANSMISSION EXCHANGE CO.